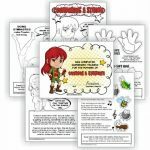 Complete this six-page comic download and girls have earned their red “Courageous and Strong” petal. 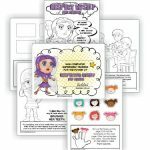 Complete this six-page comic download and girls have earned their yellow “Friendly & Helpful” petal. 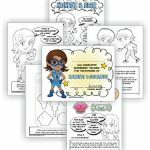 Complete this six-page comic download and girls have earned their light blue “Honest & Fair” petal. 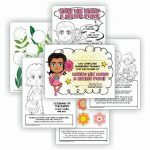 Complete this six-page comic download and girls have earned their pink “Make the World a Better Place” petal. Complete this six-page comic download and Daisies have earned their magenta “Respect Authority” petal.